I’m back in Maynooth with teaching to do after the Easter recess. The Flybe schedule having just changed for the summer, I took a 7am flight from Cardiff to Dublin this morning, which meant getting up at stupid o’clock, but I got here safely enough to Maynooth at about 9.40am. Anyway, had I not known that I would be here in Ireland I would probably have planned to visit the English Midlands in order to attend EWASS (European Week of Astronomy and Space Science) which takes place this week in Liverpool. This meeting, which is in a different country each year, this time incorporates the Royal Astronomical Society’s annual National Astronomy Meeting making it one of the biggest astronomy conferences ever held in the UK. Sadly my teaching commitments meant I couldn’t attend EWASS2018, but I thought I’d take this opportunity to wish everyone there all the best for an enjoyable and productive week. You can find other videos by searching for EWASS on Youtube. I’m sure more will emerge over the next couple of days! P.S. The event in Liverpool has clearly been planned with football fans in mind: Liverpool play Manchester City tonight, in Liverpool, in the UEFA Champions League..(UPDATE: the match finished 3-0 to Liverpool, which presumably pleased the locals). Well, here I am back in Cardiff after my little trip to Merseyside. 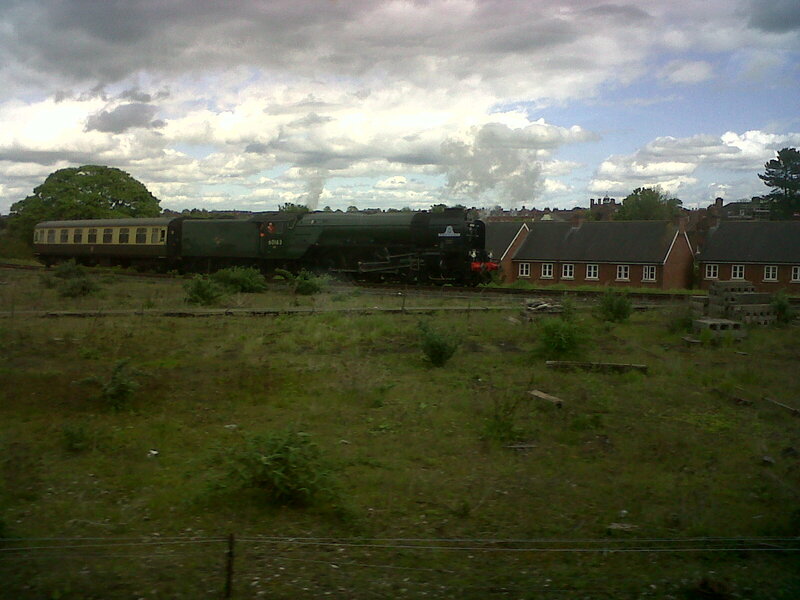 The weather behaved itself and so did the trains in both directions, so it was quite a pleasant travelling experience. In fact, going there yesterday I managed to make a technically impossible connection at Crewe, owing to the train from Cardiff being a minute or two early and the train to Liverpool being a minute late. 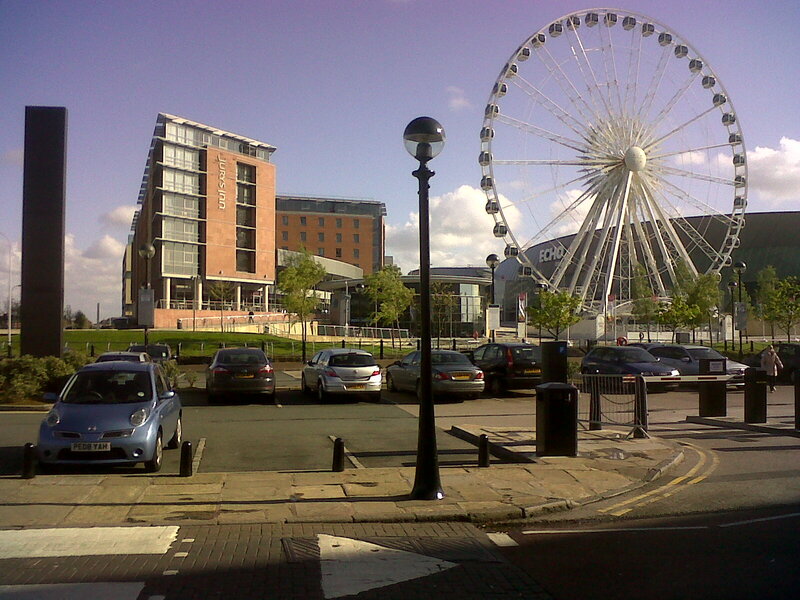 I stayed last night at the Jury’s Inn at Albert Dock, shown on the left here. There’s a sort of Ferris Wheel thing next to it. These contraptions seem to be popping up all over the place. Next thing you know there’ll be one in London! The hotel was of its type, generic but reasonably comfortable. Brings back memories of STFC panel meeting; the Jury’s Inn there is a standard place to stay in Swindon when sentenced to hard labour. Unfortunately the one I stayed in was booked up by multiple stag and hen parties and was ridiculously noisy all night. I didn’t really get any sleep until well after 4am. Grump. Anyway, last night we had a very nice dinner at the Clove Hitch restaurant/bistro (which I definitely recommend) preceded by a pint at the famous Philharmonic Pub. Thanks to Phil and Sue for looking after us so nicely. My talk opened the proceedings at the Merseyside Astronomy Day, which was held at Spaceport on the Birkenhead side of the Mersey. 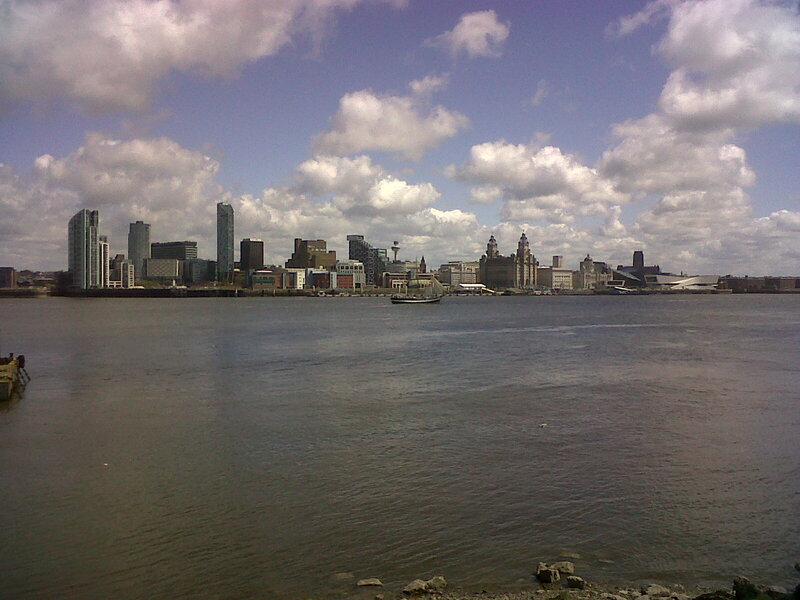 Here’s a view of Liverpool’s impressive skyline taken from there, with a nice sailing barge on the Mersey. The small auditorium – usually used for Planetarium shows – was pretty full and I think my talk went quite well, although it’s not really for me to say. They did actually record everything so if I can get hold of a copy I might post it. Anyway, after my turn there was a fascinating lecture by Prof. Peter Read of Oxford University about the atmospheres of Jupiter and Saturn. No doubt there’ll be someone out there in internetshire who will tell me all about this train through the comments box but for now I’m going to make some dinner and take it easy as I’m rather knackered.